Finding out where there are bamboo plants for sale is easier these days with the huge amount of resources now available on the Internet. Most nurseries and suppliers now have web sites as well as selling directly from a nursery visit. You can buy plants through their online sales site and have them delivered to your door pick them up yourself. You can buy a young bamboo plant and pick up from a nursery yourself which will save on delivery costs, if you have a nursery nearby. If you invest in a healthy plant that is a couple of years old, plant it out and give it freedom as soon as possible and it will develop over a couple of seasons depending on the conditions and climate. If you want a mature bamboo specimen plant to fill a space in your garden quickly you won't want to wait too long to see the results. Buying larger plants in that respect will save you a lot of growing time and you'll enjoy seeing almost immediate results. Scroll to list. 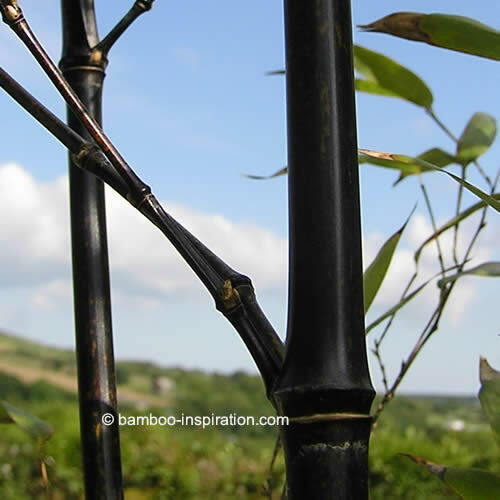 For example, if you are looking to create hedging, windbreaks, or privacy screens, you will want one of the running bamboos with a vigorous growth rate so you don't have to wait for years to establish your wind break. If your requirement is for ground cover it will be one of the small dwarf species that will be suitable, and if you want potted plants, you may want to look at the ornamental or container varieties. There are two types of bamboo species, running and clumping. Keep it in mind that delivery of any of the larger or timber type species will be relatively expensive if they are mature plants because not only will they be very tall but in a large container will weigh a lot too.